On the 5th anniversary of the Rana Plaza factory collapse we are supporting the Fashion Revolution. This campaign highlights the importance for customers to be responsible for their purchases by asking the question who made my clothes? As consumers, we should demand transparency in our purchases. Not only in the fashion industry but across the board. If we don’t show an interest in where our products came from, we won’t know what we’re supporting. We won’t know if the factory that produced the goods meets our own ethical standards. It is important to ask these questions to ensure the fashion and textile industry upholds a certain level of standards around the world. We can all have an impact in preventing people from being forced to work in dangerous environments. The Rana Plaza disaster could have been avoided if warnings over the condition of the building had been acknowledged. The building was showing signs of disrepair and should have been evacuated. However, stopping production in a large factory has huge implications in production costs and timings. The decision was made to continue manufacturing in this unsafe environment. The result was catastrophic with 1138 people losing their lives and many more injured. If factory conditions had been the focus rather than the cheap cost of clothing, this may have been prevented. We are proud to say ‘I made your hat’ as we love the fact that we did. 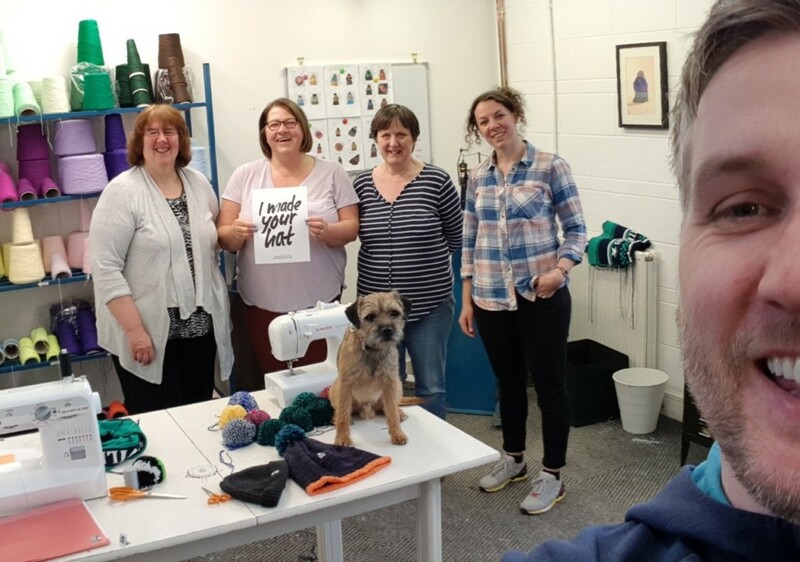 As part of the Scottish textiles industry we are proud to uphold its reputation for quality knitwear and fair working practices. We’re a small team and it is important that everyone has a voice in our workplace. We price our products fairly as we support the Scottish living wage. By doing so we can pay our team fairly and ensure they have a nice environment to work. We like to encourage a culture of honesty at Wonky Woolies where everyone can help to shape the brand. Our team, our customers and our suppliers have transparency in our working practice, which helps to ensure the sustainability of our business. The next time you’re looking at buying a product, have a wee think about where it came from.